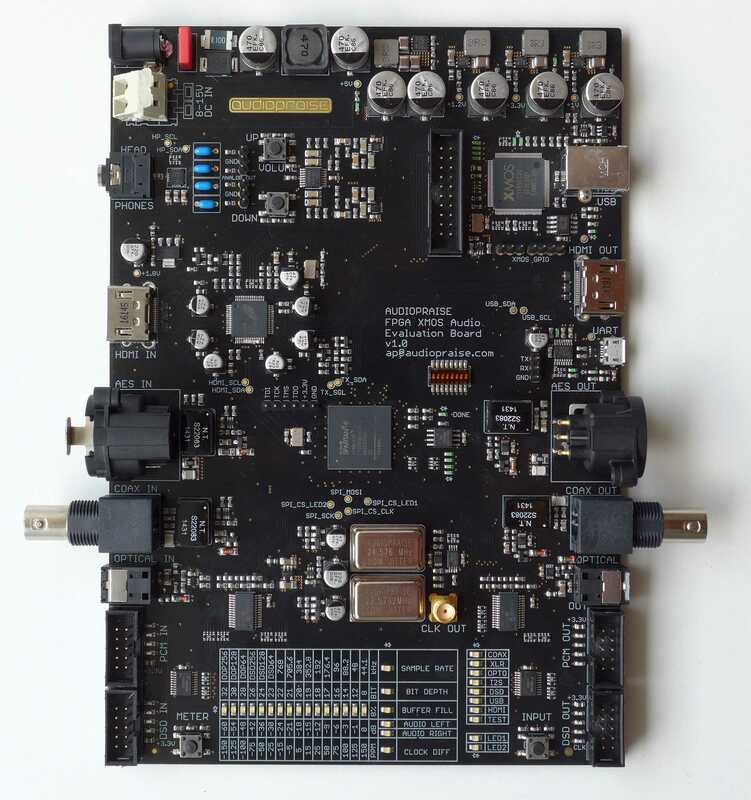 For easier evaluation of our IP cores and any custom algorithm development the Audiopraise team has designed this universal FPGA board. There is a mid sized FPGA from the Spartan 6 family, plenty of digital audio inputs and outputs (one analogue output too) and our digital clock recovery we call BLL - buffer locked loop. The FPGA in between the inputs and outputs can run any kind of processing - input signal decoding, upsampling, downsampling, filtering, format conversion, sigma-delta or PWM modulators, etc. The board can act as a high-end DAC front end as well as stand-alone processing unit, there are plenty of applications. We will make detailed specifications available soon on the main pages. If there are any questions in the meantime, don't hesitate to ask here. Edited 1 time(s). Last edit at 05/16/2017 09:51AM by AP. Can it be used as convolution-engine for FIR-filters? If so, how many taps? Edited 1 time(s). Last edit at 05/16/2017 07:57PM by rajapruk. Yes, filtering is one of many possible applications. At the moment the number of taps is limited to 2048.